VeryPDF iPad PDF Transfer is designed to help you transfer PDF and ePub files between PC and iPad/iPhone /iPod touch quickly. This iPad transfer allows you to easily import, export and delete ePub and PDF files stored on any Apple mobile device under any Windows operating system. With this iPad transfer, you can export 100+ PDF and ePub files from your iPad/iPhone/iPod touch to PC; and import 100+ PDF or ePub files from your PC to iPad/iPhone/iPod touch in a batch in a short time. Compatible with Windows 2000 / XP / Server 2003 / Vista / Server 2008 / 7 / 8 of both 32 and 64-bit, iPad 2, iPad 3, iPad 4, iPad mini, iPhone 3GS, iPhone 4, iPhone 4S, iPhone 5, and iPod touch. Require iOS 5.0 or later, and iTunes 10.7 later. To import ePub and PDF files to iPad or any other iOS device, you can directly drag and drop the ePub and PDF files to the main interface of iPad transfer that is displayed on the computer screen. Want to use iPad, iPhone or iPod touch to view PDF or ePub files? Just connect your iPad, iPhone or iPod touch to the computer and VeryPDF iPad PDF Transfer can transfer PDF and ePub files right away. No need to download PDF and ePub files online anymore. Just click one button to quickly export ePub and PDF files from iPad, iPhone or iPod touch to your computer in batches. This is an effective and quick way to back up the eBooks of your Apple iOS devices onto PC without opening iTunes and wait. With this tool, you can sort books by sort or size, and then export PDF and ePub files to different places on computer easily. Tired of waiting for the iOS system to refresh the iBooks bookcase after deleting ePub and PDF files from iPad, iPhone, or iPod touch? Would you like to delete, export or import PDF and ePub files more quickly? Why not try VeryPDF iPad PDF Transfer, which enables you to conveniently manage PDF and ePub files of the Apple iOS device on PC under Windows operating systems? 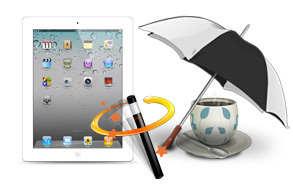 Import PDF and ePub files from PC to iPad, iPhone or iPod touch by dragging and dropping. 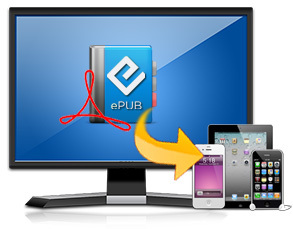 Export PDF and ePub files from iPad, iPhone or iPod touch to PC in batches. 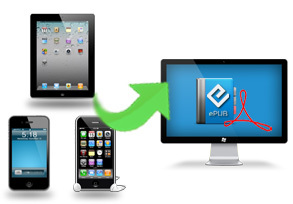 Remove PDF and ePub files from iPad, iPhone or iPod touch in batches. Manage PDF and ePub files that are stored on iOS devices under Windows operating systems. Sort PDF and ePub file by type or size. Back up iBook PDF and ePub files onto PC at a time. Show the basic information of the connected iOS device: type, capacity, available, version, format.